If you’ve ever had household moisture or odor issues, you know the value of pure, clean, dry indoor air. And that’s exactly what Arm & Hammer Moisture Absorber & Odor Eliminators deliver. 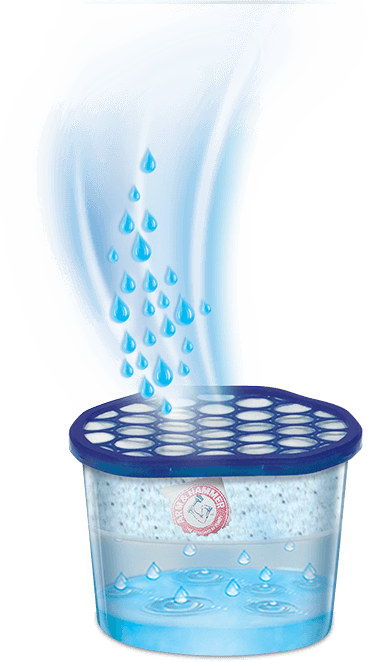 They combine the power of two natural ingredients—baking soda and calcium chloride crystals—to neutralize tough odors, eliminate excess moisture and keep your home smelling fresh. 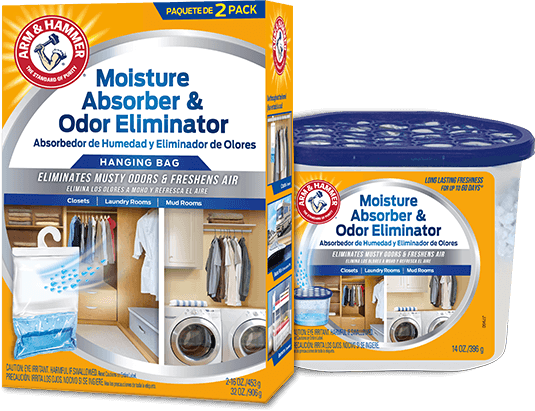 Arm & Hammer Moisture Absorber & Odor Eliminators are the natural, affordable way to freshen air and remove odors. 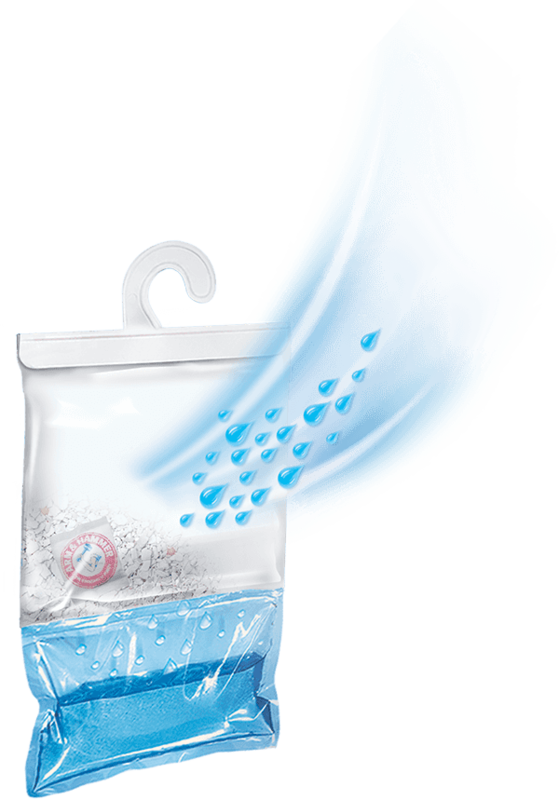 They are refillable or disposable and come in two easy-to-use packages: a tub and a hanging bag. You’ll find Arm & Hammer Moisture Absorber & Odor Eliminators at most Home Depot, Walmart, Menards and Kroger stores. Arm & Hammer has been a trusted choice of homeowners for more than 165 years.